Big ideas spurred from small spaces. 1. 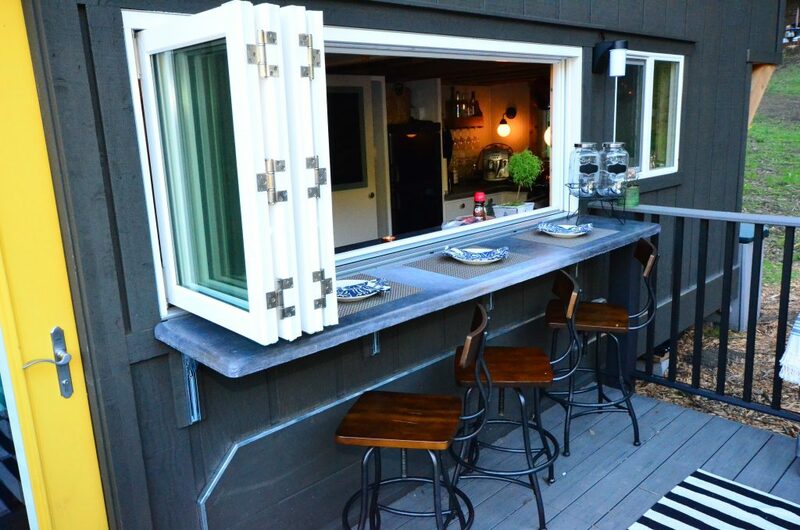 An accordion window creates an indoor/outdoor space that everyone will enjoy. 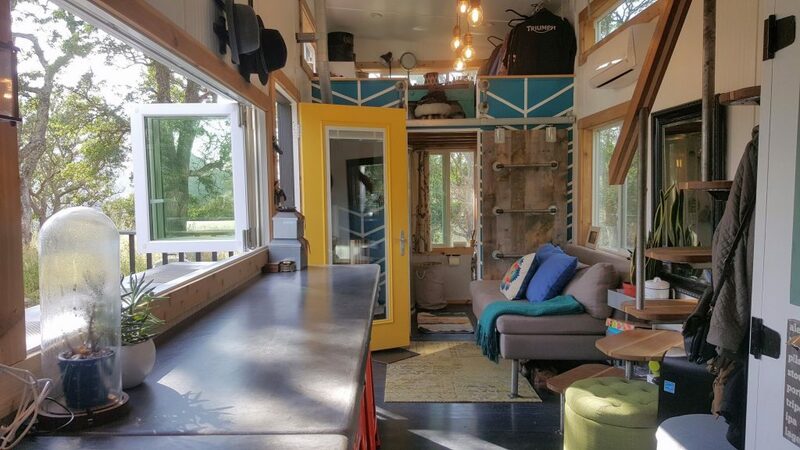 Joshua and Shelley Engberg, the owners and designers of this 374 square foot home, are representatives for three nationwide Tiny House Trailer manufacturers. 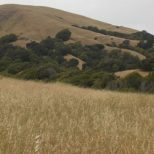 They also design and build tiny house shells, and blog about their experiences living in a tiny house on wheels at TinyHouseBasics.com. 2. This bathroom door doubles as a ladder that leads to a loft space. See more interior photos of Joshua and Shelley’s THOW on Instagram. 3. Staircase drawers nix wasted space. Plans for this baseball themed “Home Run” tiny house are for sale here. 4. 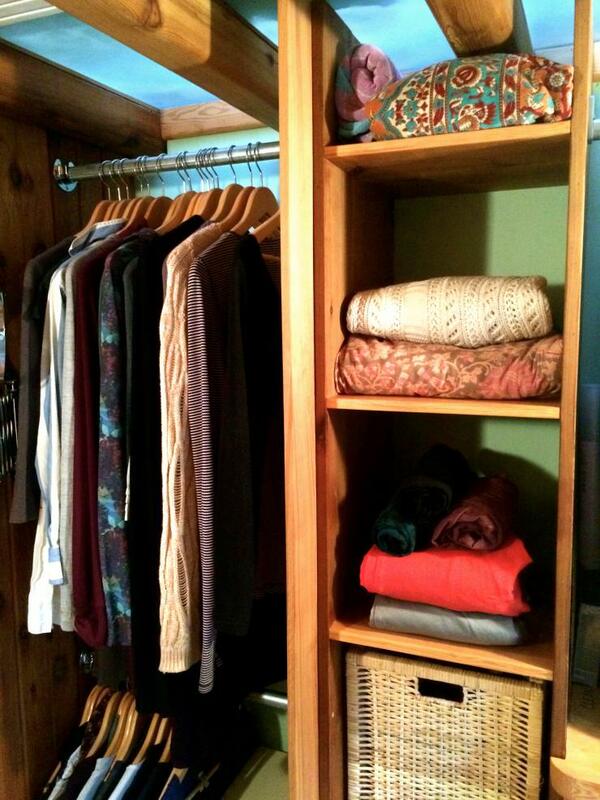 Utilize vertical storage with magnetic strips. 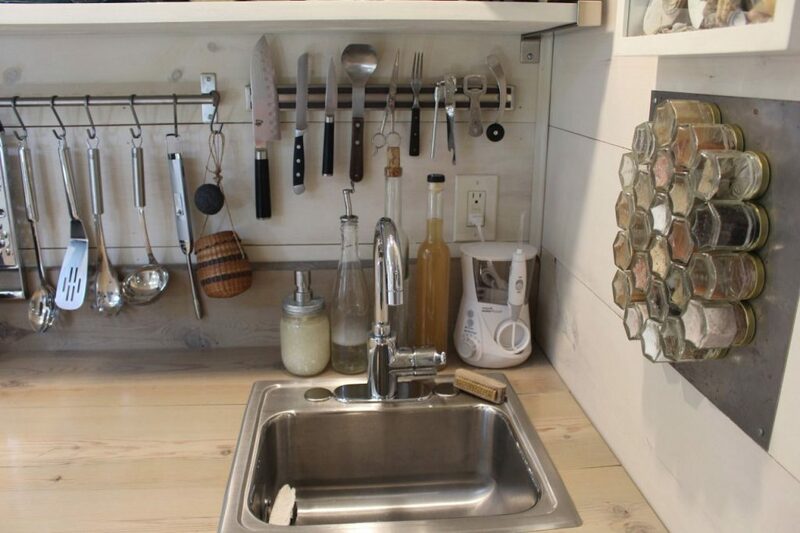 See more photos of the 160 square foot Tiny Hall House here. 5. Stackable stools are a must for entertaining. 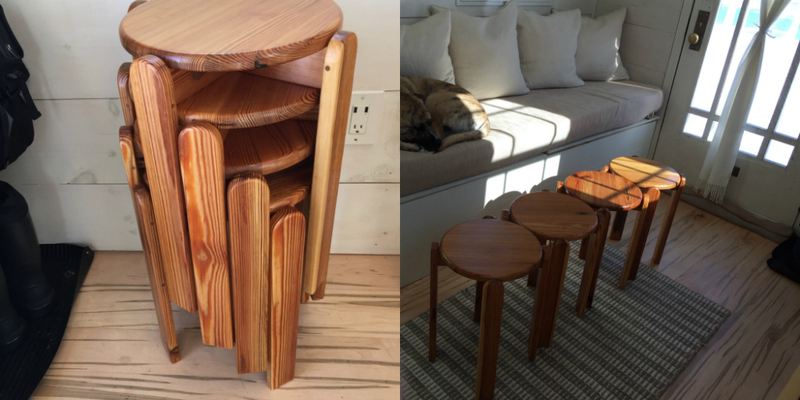 These beauties were custom made by a woodworker in New Hampshire who crafted them from reclaimed wood found in an old sweater factory. More info here. 6. 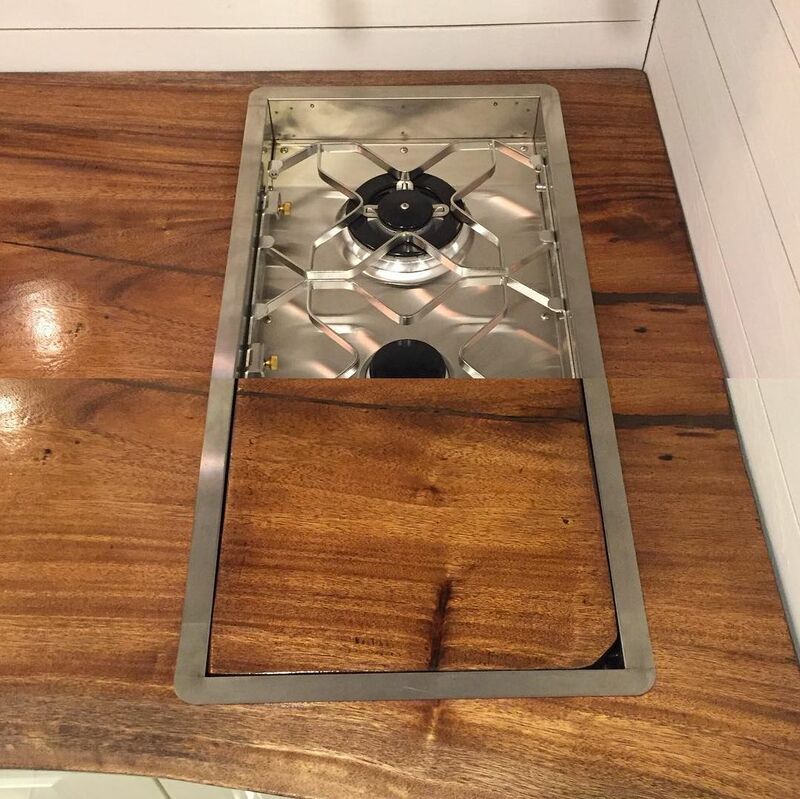 Burner covers will increase valuable counter space. 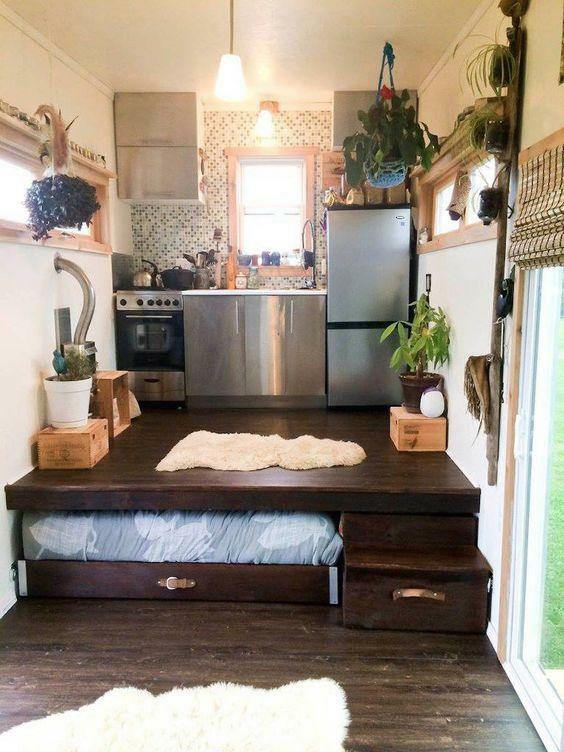 See more photos of this young couple’s super stylish tiny house here. 7. Own a tiny pooch? 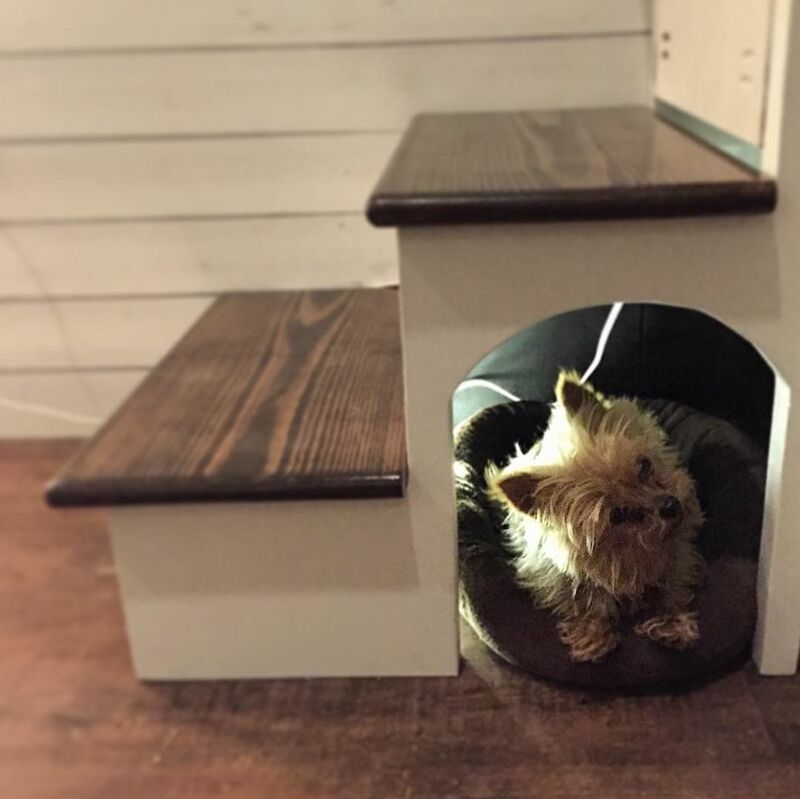 Build a dog house under the stairs. Adorable! 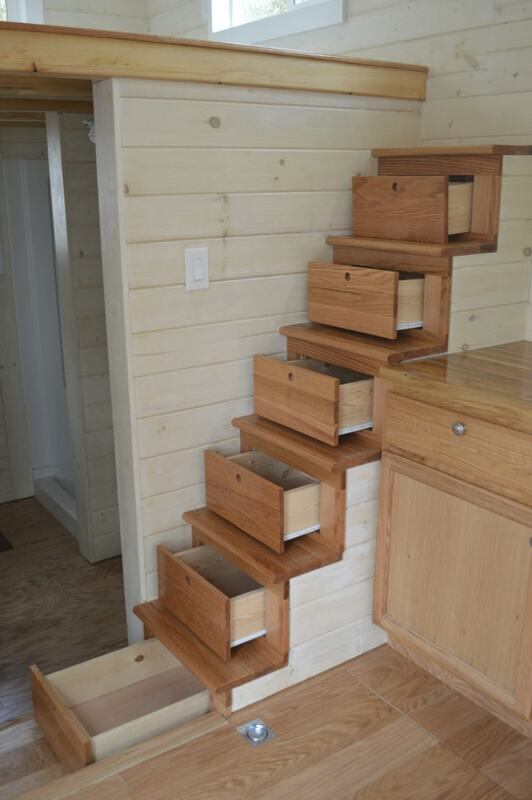 Pet owners Brian and Sky built their traveling tiny house themselves. You can follow their blog here. 8. In a cramped kitchen, Lazy Susans are everything. You can buy this tiny house, known as the “loft edition,” from $53,000 CAD. 9. 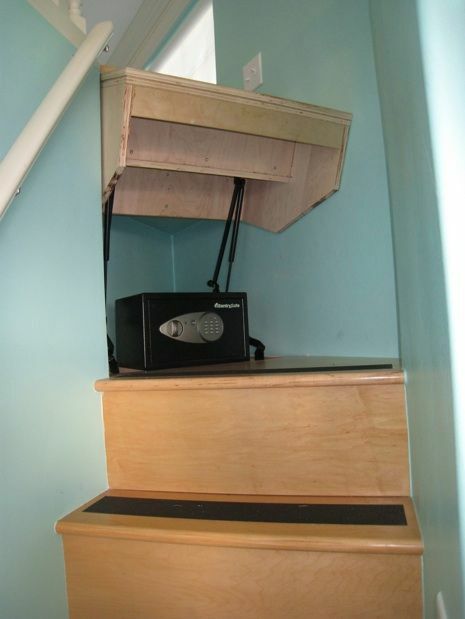 Hide a safe under the stairs by installing hinges. This 387 square foot solar powered tiny home is manufactured by Palm Harbor Homes. 10. 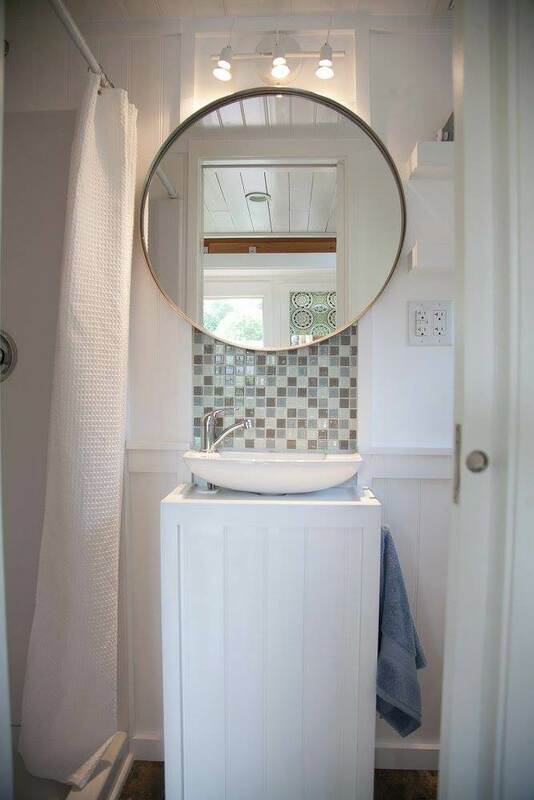 An oversized mirror creates the illusion of a bigger bathroom. 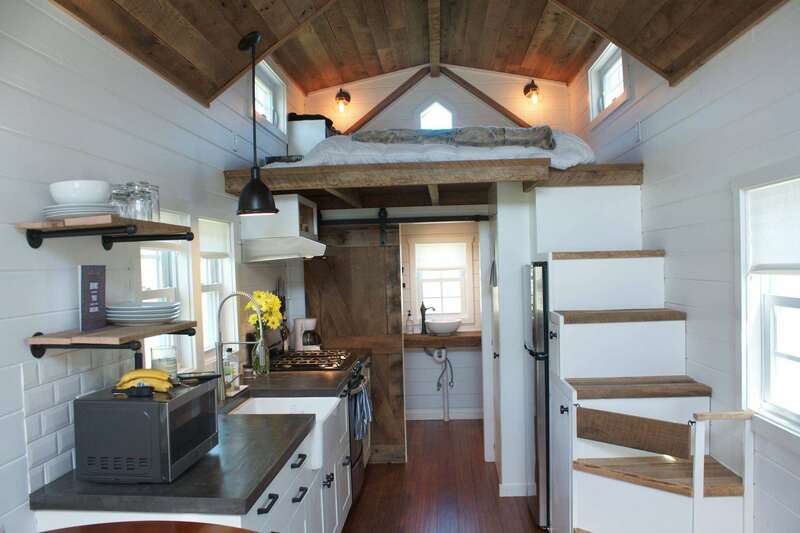 See more photos of this 180 square foot tiny home here. 11. Sliding doors free up floor space. Check out more photos of this modern farmhouse style 24′ home here. 12. Open shelving will force you to edit your belongings. 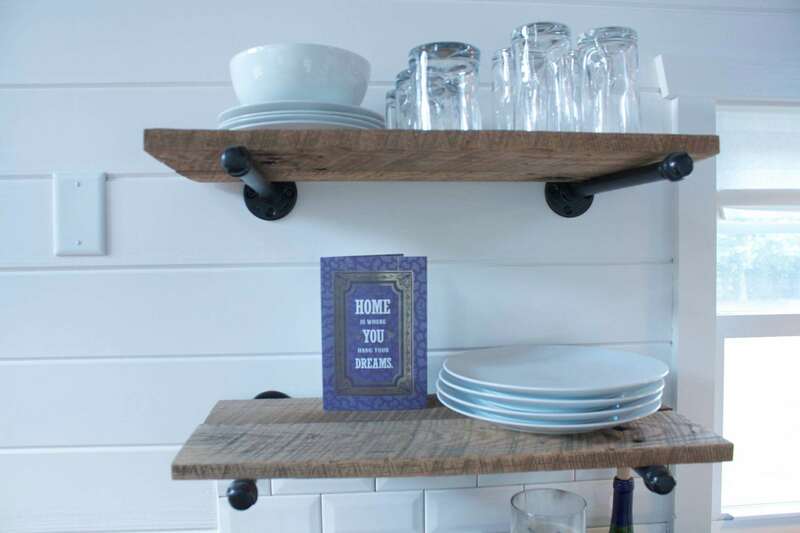 These shelves are made of reclaimed barn wood. More info on Liberation Tiny Homes here. 13. 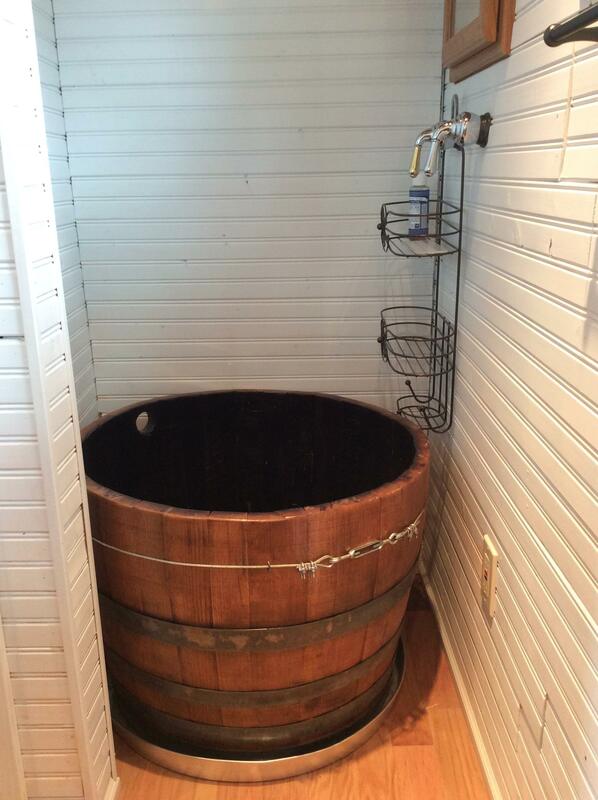 A round tub occupies fewer square feet. 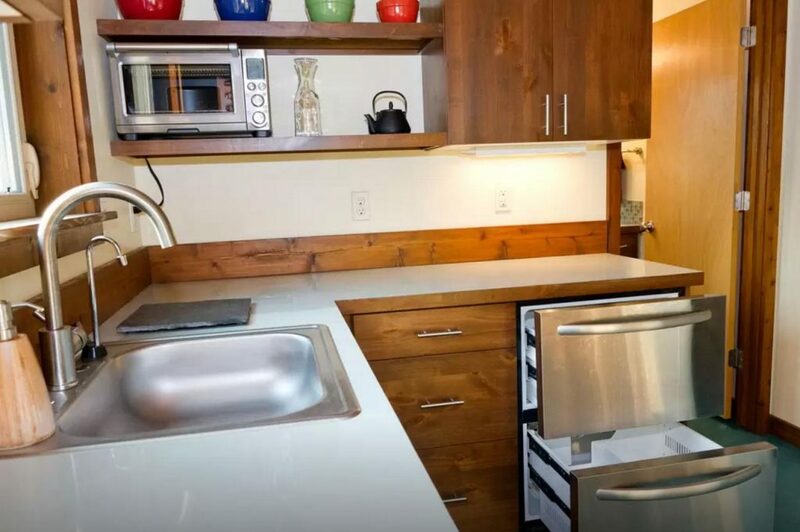 This 250 square foot custom cottage is currently for sale in Austin, Texas for $60,000. 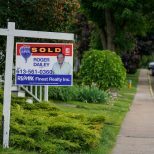 More listing photos here. 14. 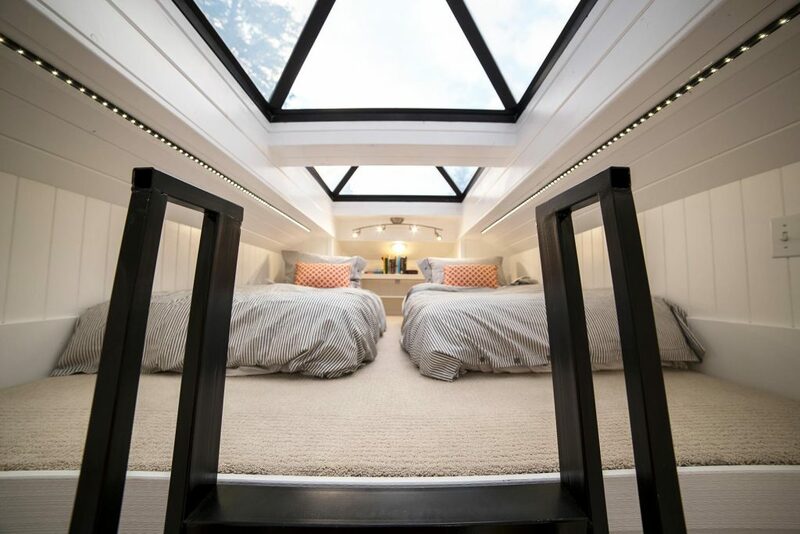 Skylights are a stylish way to bring natural light into your home. 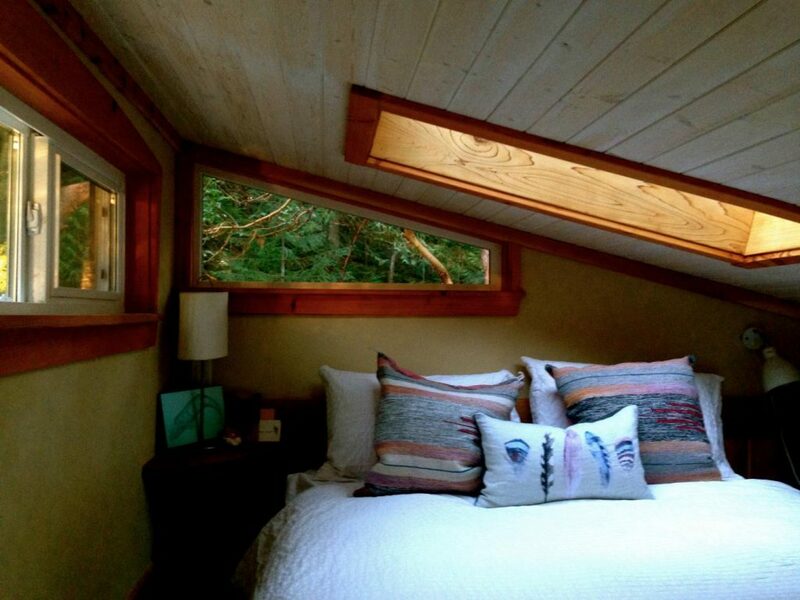 Read more about Rebecca’s 168 square foot home on Salt Spring Island, B.C. here. 15. A tempered glass floor allows light to flow between stories. Because getting dressed in the dark is not an option. More interior photos here. 16. 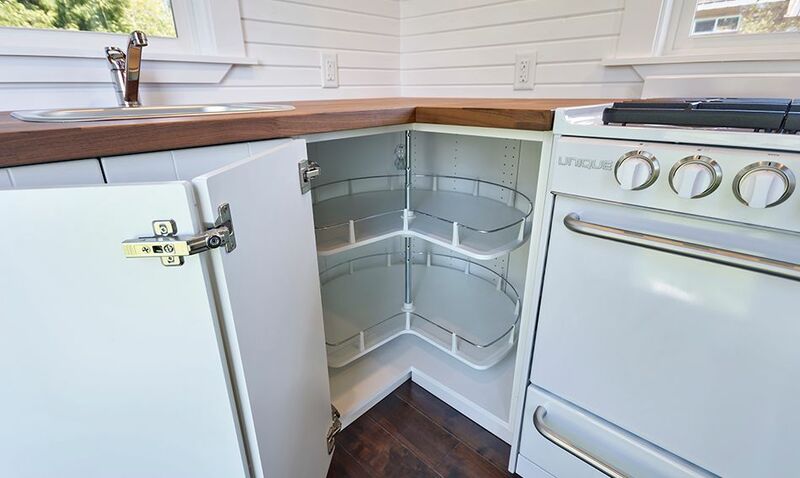 No room for a standard fridge? Go drawer-style. 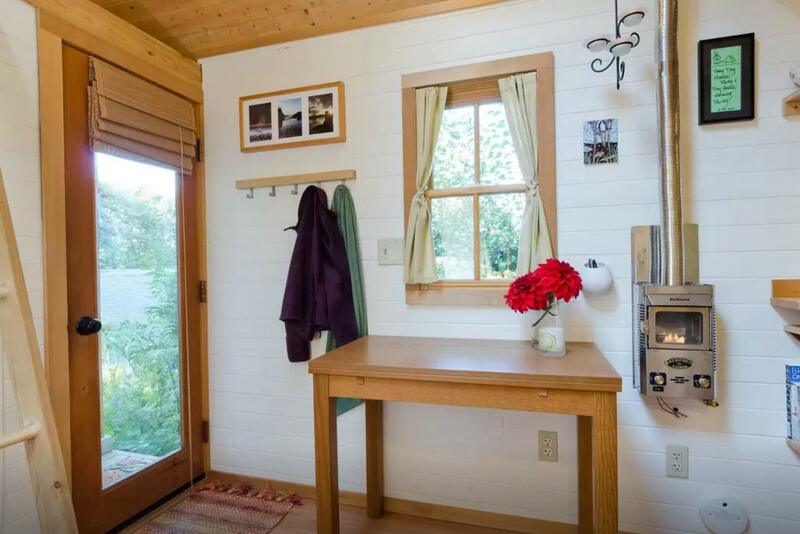 You can book a stay in this tiny shed, located in Boise, Idaho, on Airbnb. 17. An expandable table is a must-have for working or dining. This tiny house is just minutes from downtown Olympia, Washington. Book your stay here. 18. 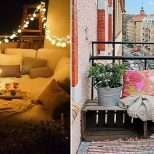 Not a fan of lofts? Opt for a pull out bed. It’s okay if you’re afraid of heights. 19. And finally, install LED light strips to brighten up a small bedroom. Essential when the skylights are covered over in the winter. Book a stay in this Draper, Utah tiny home here.